The time of the Geonim is one of the most fascinating in the history of the Jewish people because of the great array of people who passed before us on the canvass of the time. The greatest of Geonim – or at least the most well-known and strongest figure – is Rabbi Saadiah Gaon. In his personal life and in the times that he lived, he most clearly the reflects the tensions and problems of the times. Rabbi Saadiah lived from 840 to 892 CE. He was born in Cairo, Egypt and was known as Rabbi Saadiah Al-fayumi. Fayum (also spelled Faiyum, Fayoum, Al Fayyum or El Faiyūm) is the ancient name for Cairo. He was educated in Egypt and gained his early notoriety there. Rabbi Saadiah was exceptional in many ways. In later centuries, he would have been called a Renaissance man. No field of human intellect or endeavor that was unfamiliar to him. Included in his secular knowledge was expertise in many languages, such as Arabic, Hebrew, Latin and Greek. He was a philosopher who had read all the great philosophers of Greece and Rome. He was an astronomer and a mathematician. Because of his greatness, by the time he was 25 he was well-known throughout the Jewish world. Indeed, when the Gaon in Sura passed away there was nobody that the Babylonian’s found worthy of the post and therefore they did something they had never done before: they went outside Babylon to import a man to be the religious head of Babylonian Jewry. The person they chose was Rabbi Saadiah. Despite his greatness – or because of it — Rabbi Saadiah had a very stormy life. He was continually involved in disputes. There were three major disputes that have left an imprint not only in his day, but until our time. They included the role of the religious leader vs. the secular leader, the role of Babylonia vs. all the other communities of the Exile, and the role of the rabbis vs. the Karaites. Rabbi Saadiah not only had something to say on these subjects, but was an antagonist; he was tenacious pursuing them and persevered until in the end he prevailed. He gained his first and greatest notoriety regarding a dispute that arose concerning what day of the week Rosh Hashannah would fall in the year 863 CE. As we have discussed, the Hebrew calendar is adjustable. Based on certain calculations, the calendar can be adjusted a day or two. The question was: Who had the right to adjust the calendar? There existed at this time a yeshiva in the Land of Israel headed by someone named ben-Meir. For one reason or another, he wanted to reestablish the primacy of Israel over Babylon. From about the year 220 CE onward, after Rabbi Judah the Prince died, Babylon was supreme over Israel in matters of Torah scholarship, wealth, the strength of the Jewish community, etc. For practical purposes Babylon was the central address of the Jewish people –the place where Jewish law came from. For reasons that are not clear to us, ben-Meir felt that the Land of Israel was entitled to leadership of the Jewish community. At the very least it was entitled as far as the calendar was concerned. He declared that, according to his mathematical and astronomical calculations, the upcoming Rosh Hashannah was going to fall on a Wednesday. He then circulated a pamphlet for all the rabbis on the Mediterranean Basin saying that they had six months to get ready for it. In effect, he said, they should disregard what the rabbis in Babylon were saying who said it was going to fall on a Tuesday. He may have gotten away with it if not for Rabbi Saadiah, who wrote his own pamphlet in response. It is one of the most devastating polemics ever written in Jewish history. He demonstrated that ben-Meir did not know how to make astronomical or mathematical calculations. And that was before he took him apart for his lack of Torah knowledge. He utterly demolished everything written in pamphlet issued by ben-Meir. Sometimes, a dispute arises and there are merits for both sides of the argument. No single side prevails and the dispute can be taken up for generations and generations that follow. However, Rabbi Saadiah was so powerful that this was the end of the argument about who had the right to determine the Jewish calendar. There was no rebuttal. The Jewish world utterly rejected ben-Meir. 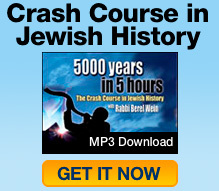 Furthermore, Rabbi Saadiah was not even 30 years old when this happened. He was not interested in diplomacy. Most of the time, such a course of action is not advisable. In this case, however, there was a time limit: Rosh Hashannah. On Rosh Hashannah, Jews were in effect going to vote who they were going to follow. Rabbi Saadiah’s actions bludgeoned his opposition into submission. His arguments and breadth of knowledge – not to mention his eloquence — was so impressive that he gained instant fame in the Jewish world. It left no doubt that he was the leading force among the scholars of the Jewish people. When he first came to Babylon to be the Gaon, the religious head of the Jewish community, the Reish Galusa (the Exilarch) was a man by the name David ben Zakkai. As we discussed, one of the negative effects of Islam was the introduction of what one could call “organized corruption” into Jewish life. If you wanted a job, you had to pay for it. That was and remains until today a way of life in many countries. But in the culture of the eighth and ninth centuries among the Muslim caliphs it was impossible to uphold a major position unless there was a quid pro quo, be it money or favors. In the Jewish world, this type of behavior also became acceptable. As a result, the people who succeeded to high offices were many times not the people who should have been there. David ben Zakkai, the Exilarch, was such a person and Rabbi Saadiah was not one to brook interference in matters he felt were under his jurisdiction, i.e. religious matters and matters of Jewish law. He certainly was not going to accept advice in Jewish law from someone who was not nearly his equal in Torah scholarship. Had the Exilarch been modest — or even had he just had good advisors, including a good wife to advise him — he could have saved himself and the Jewish people a lot of aggravation. But apparently he had none of these. He forgot that he had bought the position. The moment Rabbi Saadiah became Gaon, a major flare-up between the Exilarch and he was not long in coming. The Exilarch employed the office of the Sultan of the Caliph of Baghdad to have Rabbi Saadiah forcibly removed. In effect, they fired him from the job. But Rabbi Saadiah retaliated by placing the ban of anathema on the Exilarch. This struggle between the two went on for almost a dozen years. It paralyzed the Jewish community in Babylon. In perfect hindsight, we can say that it was the beginning of the end of Babylonian Jewry. Rabbi Saadiah was the greatest Gaon; after him, it started to decline. They finally patched it up and Rabbi Saadiah was restored as the Gaon in Sura. But he died two years later. Most of the books of the time testify that he died from the effects of the dispute. It sapped him. The third major dispute Rabbi Saadiah partook of was the dispute with the Karaites. Under his influence, thousands of Jews who had wavered and become Karaites now returned back into traditional Judaism. It is interesting to note that one on hand he was a fierce opponent, but on the other hand he said that any individual who came back should be accepted into the community. The natural tendency is that if someone strays he should be made to pay for it. However, Rabbi Saadiah’s influence had a profound effect on the rabbis and people, allowing many Karaites to return. Rabbi Saadiah titled his polemic against the Karaites after a verse in Job: “A cloud is finished and went away.” The word for “cloud” in the verse is anan, which was also the name of the founder of the Karaites. It was a play on words. In effect it meant: Anan the Karaite is finished raining and now his movement is gone. It will not stand the test of time. In his polemic, Rabbi Saadiah defended the Torah and traditions of Israel with his usual tenacity and eloquence and demonstrated beyond doubt all the fallacies of the Karaite ideas. In short, he exposed all the logical inconsistencies. The Karaites did not want to have an Oral Law, but they found it impossible to deal with the Written Word without their own invented explanations. Rabbi Saadiah ridiculed the Karaite ideas without mercy. When he was done nothing was left, and the Karaite movement lost its momentum forever. Rabbi Saadiah is also remembered by the books he wrote. For instance, he wrote a commentary to the Prophets and Writings. We also have his notes on the Talmud, which are preserved in the writings of later Geonim who quoted him. However, his most well-known book, which has survived intact, is a book of philosophy written in Arabic. The underlying reason for writing the book was to defend Judaism against of Islam. In Hebrew the book is known as Sefer Emunos v’Dayos, the “Book of Beliefs and Opinions.” It is not easy reading, but there are certain chapters that are well worth the time. Chapters on the commandments, the revelation at Sinai and the destiny of the Jewish people will more than suffice to give one a deep understanding of what the mission and destiny of the Jewish people is. Emunos v’Dayos served as the basic book of Jewish thought for almost all later generations. The great books of philosophy in the Middle Ages such as Rabbi Judah HaLevi’s Kuzari, Maimonides’ Guide For The Perplexed and others are based on Rabbi Saadiah’s book. There is one particular line in there that every Jewish child should know and that sums up Jewish existence: “Jewish nationalism is the Torah.” The only thing that makes the Jewish people the Jewish people is the Torah. Unfortunately, it has become more and more apparent in our time that Rabbi Saadiah’s aphorism is really the guiding light of Jewish life. Despite of his turbulent life, and the turbulent times he lived in, his clear sight and long-lasting influence of knowledge have remained part and parcel of the Jewish people until today.